Recently I showed you how to record “Louie Louie” on your Mac. But why should Mac users have all the fun when this three-chord delight can also be recorded on an iPad? I can’t think of a single reason. So let’s get to the steps required to catch that musical ship across the sea. Start your project by grabbing a drum loop. 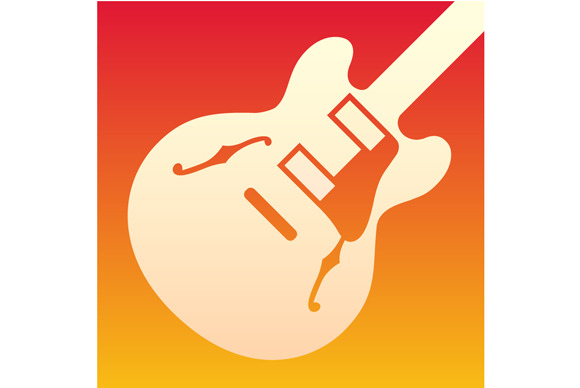 To start you’ll need a copy of GarageBand for iOS, which is $5 from the iTunes Store. 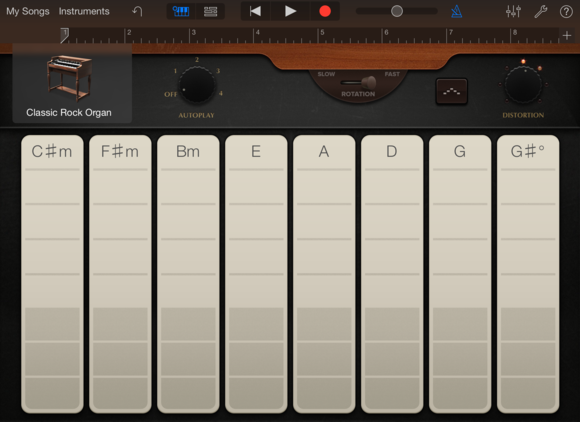 Once you’ve downloaded it, launch GarageBand and tap the Plus (+) button in the top-left corner. 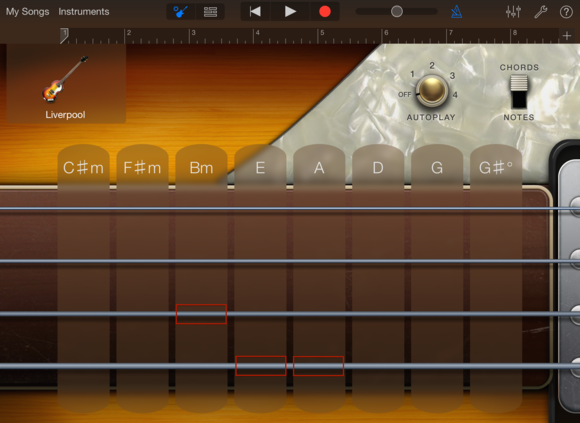 In the Instruments screen that appears, tap on the Loop icon in the top-right corner. This exposes the Arrangement screen along with the Apple Loops browser. In the browser tap on Instrument and choose Drums from the Instruments list. 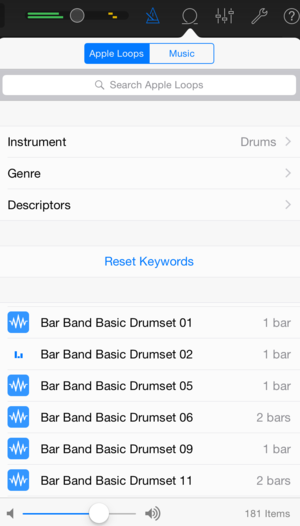 Scroll down the list of loops until you find Bar Band Basic Drumset 2. To listen to it, tap on it. When you’ve had enough tap and drag it to the first track, which currently shows a microphone icon. You’ve created your first track, which you can hear by tapping on the triangular Play button at the top of the screen. You’ll also hear the ticking of a metronome. If don’t want to hear the metronome, just tap on its icon at the top of the screen. Tap the square Stop button to do exactly that. We’re now going to choose a key for our song. At the top of the screen tap on the Settings icon (it looks like a wrench) and then tap on Key. In the resulting Key pane tap on A and make sure Major is selected. Tap outside the pane to make it go away. Although the root chord is E, we'll set up the song in the key of A. Now tap on the Instruments entry at the top of the window to return to the Instruments screen. Swipe to the right until you see Smart Bass. Tap on that instrument and you’ll see four virtual bass strings. Following the “Louie Louie” rhythm that we know and love, you’re going to tap the bottom bass string (the fat one) three times under the E heading. Then tap that same string twice under the A heading, tap the second string (the one above the fattest string) under the Bm heading three times, and then tap the bottom A string twice. So, E E E, A A, Bm Bm Bm, A A. You have just three notes to play to fill out the bottom end. Tap on the red Record button, wait four beats while the metronome clicks, and then play your part. You have to play it correctly just once. Tap Stop when you’re done. Now tap on the Tracks button, which appears just to the left of the Back button at the top of the screen. This returns you to the Tracks screen. Your bass part will appear just under the drum part. Double-tap on its green bar and from the list of options that appears, tap Loop. The bass track will extend to the end of the part and contain copies of the riff you played. Tap Play to hear it. You need play the riff correctly one time. After that, just loop it. Tap once again on the Instruments entry and this time choose Smart Guitar. Tap on the Acoustic guitar icon and choose Hard Rock. If you like, strum the strings and rock out for awhile. When you’ve had enough, tap just on the chord headings—where it says E, A, and Bm. Notice that this plays a chord, no strumming required. You’re going to tap these headings to record your guitar part. Specifically, using the “Louie Louie” rhythm you’ll tap E E E, A A, Bm Bm Bm, A A. When you’re ready, tap the Record button, wait for the four clicks, and play your part. Tap Stop when you’re done. Return to the Tracks screen and double-tap on the guitar part. As before, tap on Loop. Tap Play. Awesome, yes? Let’s fill it out even more by adding an organ part. 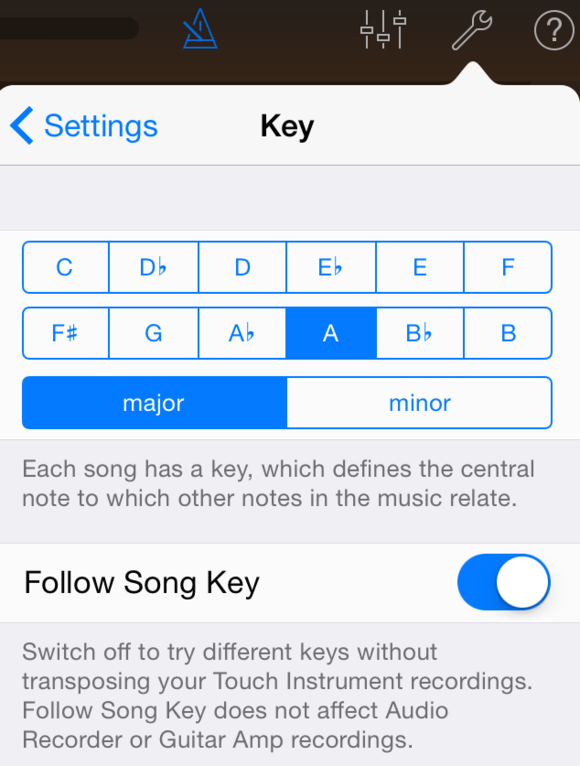 Tap on Instruments and choose Smart Keyboard. Tap on Grand Piano and choose Classic Rock Organ. Play a few chords by tapping on the headings. Above the chord headings you’ll see a Rotation switch. Tap where it says Fast. Now tap a few chords. Hear the difference? That’s due to the rotating speaker (Leslie) effect you just applied. Just tap the chord headings (and turn on the Leslie effect) to create the organ part. For this part we’re not going to play the “Louie Louie” rhythm. Instead, we’ll play just one chord each time it occurs. So, you’ll play E, A, Bm, A (so, a chord every two beats). Click record, wait for the clicks, and do your bit. Go back to the Tracks screen and tap Play to listen. What? You say your timing is off? Let’s fix it. Tap on the organ icon on the left side of the Tracks screen and then tap the Edit icon (the item just to the right of the Loop icon). This should produce the Classic Rock Organ editing pane. 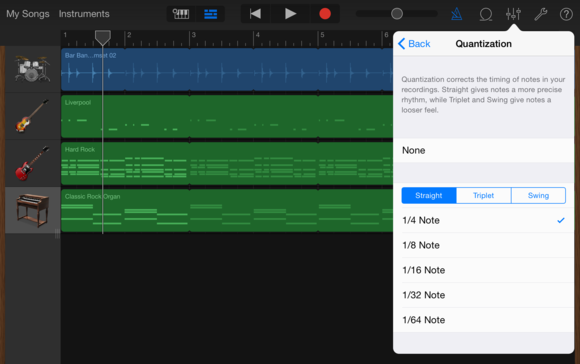 Tap on Quantization and in the Quantization pane tap on 1/4 Note. Tap outside the pane to dismiss it. Now play your song and you’ll see that the organ part lines up nicely because it’s been aligned with an invisible rhythmic grid. If your timing isn't everything it could be, quantize your track. Let’s finish it off by adding a vocal track. Tap Instruments and then Audio Recorder. Tap the Record button, wait for the requisite clicks, and then start singing. (As with the Mac project, pebbles in the mouth are optional—and dangerous.) Your recording will be cleaner if you listen to your work on headphones plugged into the iPad rather than playing it through the iPad’s speakers. Again, listen to your work by tapping on Tracks and tapping Play. Now let’s share your song. Tap on My Songs in the top-left of the screen and then tap on your song’s name in the Songs screen. Give it an appropriate name—you might try Louie Louie—and tap Done. Tap Select in the top-right corner of the window and then, when the songs start wiggling, tap on the song you just created. Tap on the Share icon in the top-left corner of the screen and you’ll see that you can share it via email, on Facebook, on SoundCloud, and via YouTube. You can even save it as a ringtone, if you like. Tap Done to stop all the wiggling. All the instrument parts are now in place. And that’s it, “Louie Louie” on your iPad and in your ears. Creating other three-chord rock tunes is just as easy. When you next feel the itch, give “Wild Thing” and “Hang on Sloopy” a try.